The tradition of using incenses has existed in Tibet since pre-Buddhist times. However, it was in the 7th Century AD when Buddhism flourished in Tibet under the reign of successive religious kings, that the practice of using incense sticks based on the secret tantric texts of the great Indian Buddhist scholar Nagarjuna, became widespread. Different formulas for the manufacture of incenses were further developed by great scholars of Tibetan medicine like Zurkhar Lodoe Gyalpo and Deumar in the 14th and 17th centuries respectively. These formulas were preserved by later Tibetan scholars like Ven. Dr. Kyenrab Norbu, personal physician to the 13th and 14th Dalai Lamas. These formulas, which have been carefully guarded and handed down through the generations, are still used today for religious offerings, in meditation, for overall mental and physical well-being, or simply to clean and refresh rooms. Tibetans believe that some of the formulations have healing properties, warding against diseases and evil spirits. They are best used in the mornings – at the start of the day. 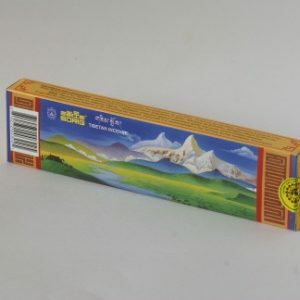 It is believed that the daily ritual of burning incense sticks and powders offers immense benefits. 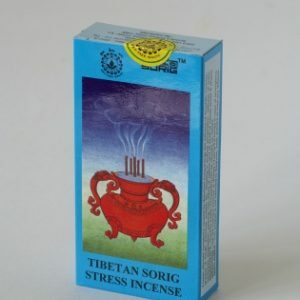 Sorig Tibetan Incenses made by Men-Tsee-Khang are prepared strictly in accordance with the traditional formulas handed down over the centuries. 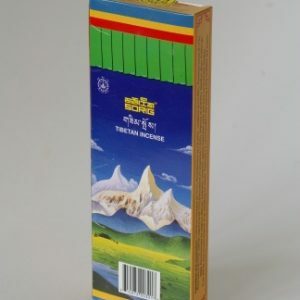 They are pure herbal incenses prepared from aromatic and medicinal herbs and do not contain any artificial fragrance, chemicals or any bamboo stick.